Visions of the future tend to be made up of shiny, metallic surfaces and flying cars. 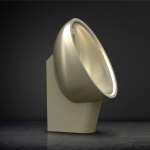 Although this rendition of a far-off time may still be a few centuries away, you can capture the sleek look of the future in our current time by installing stainless steel toilets in your business, industrial complex, or park. Not only are these toilets more appealing, but they also last longer and are much easier to maintain than ceramic toilets. Let Stainless AD be your source for all things stainless. Continue reading to learn more about why our toilets are the best option. 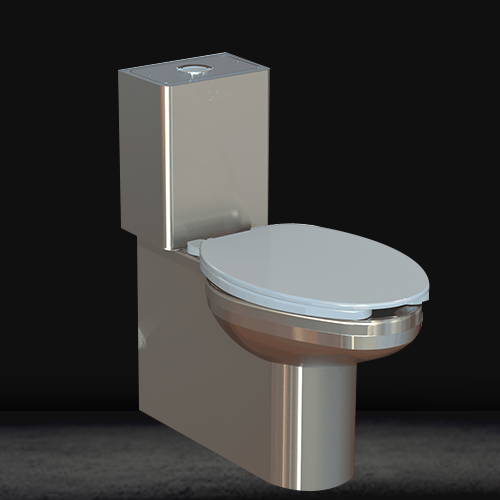 One of the reasons stainless steel toilets are so great, apart from their sleek designs, is the fact that stainless steel doesn’t stain! As simple as that may sound, it’s incredibly beneficial for industrial, commercial, and residential restrooms. If your restroom sees constant use on the daily basis, you’ll have to spend extra time and money maintaining it. By installing stainless steel amenities, you won’t have to worry as much! Since bacteria can’t adhere to the surface of stainless steel, you’ll only have to wipe the toilet down with hot water. That’s all it takes to keep your restroom looking clean and pristine! The most common issue public restrooms face is vandalism. Apart from vandalizing the stall doors and mirrors, individuals can damage toilets and urinals. 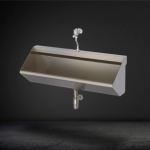 If you’re worried about vandalism in your restroom, install stainless steel fixtures and your worries will be quelled. You see, our stainless steel toilets feature a uniform design which makes it nearly impossible for them to be vandalized or damaged. Whether you’re outfitting a public restroom in a park or a bathroom in a hospital, our toilets will suit your needs. Bacteria can’t adhere to stainless steel. This makes our toilets and fixtures the perfect choice for environments that require optimal sterilization. 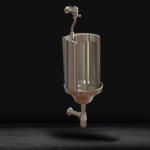 It’s why you tend to see stainless steel fixtures in hospitals. This doesn’t mean, however, that stainless steel fixtures are only for hospital bathrooms. Whether you need to outfit your commercial or residential space, Stainless AD can help. Our products are designed to look good and work efficiently. Give us a call today to learn more about what we have to offer!